Baltimore Ravens wide receiver Michael Crabtree is aware that there is a lot expected of him during his first season with the club. Crabtree, after all, is the most experienced of the Ravens' wide receiving corps that includes fellow offseason acquisitions John Brown, Willie Snead and DeVier Posey, draft selections Jordan Lasley and Jaleel Scott as well as holdovers Breshad Perriman and Chris Moore. "I don't have a choice," the 30-year-old Crabtree said of being a leader. "I'm going on 10 [years] in the game, and all these guys are three-, four-, first-year guys. That's just my role. At the same time, I'm out there competing like I'm 21, so I'm going to have fun with it." Crabtree signed a three-year contract with the Ravens after being released by the Oakland Raiders. He was limited to just 58 receptions for 618 yards -- albeit with eight touchdowns -- last season after amassing 89 catches for 1,003 yards and eight scores in 2016. 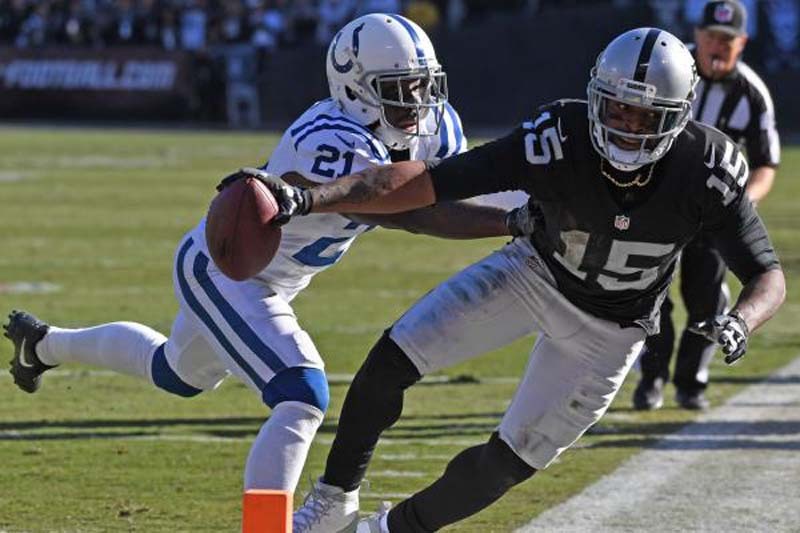 Crabtree has 579 receptions for 6,870 yards and 51 touchdowns in nine NFL seasons. He played six seasons in San Francisco after the 49ers made him a first-round pick.